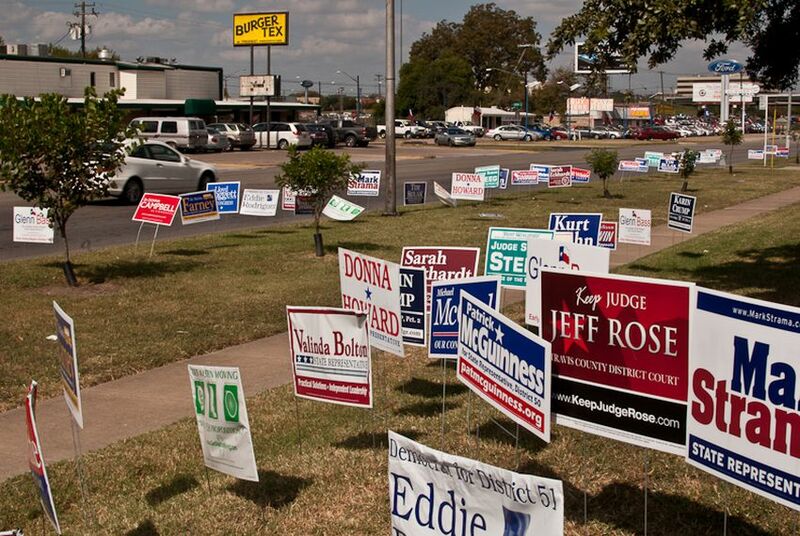 The Texas Democratic Party takes on the Houston-area Tea Party group for "1960s style" voter intimidation. The Texas Democratic Party added its name today to the list of parties suing the King Street Patriots for offenses connected to their pre-election activities in Harris County. In an emailed statement, the Liberty Institute, the conservative legal foundation that represents the King Street Patriots, called the lawsuit an "embarrassment" and an attempt to "bind and gag citizens from speaking out during an election." The group is also the subject an ethics complaint filed today by Texans for Public Justice and faces an ongoing defamation lawsuit brought by the Houston lawyer behind a Harris County voter registration drive that leader Catherine Engelbrecht linked to the radical separatist New Black Panthers. Not coincidentally on the first day of early voting, the Texas Democratic Party filed suit to try to bind and gag citizens from speaking out during an election. That should be embarrassing for any party. Censoring citizens is no way to win elections. It is also unconstitutional. This lawsuit is an embarrassment. This lawsuit and the coordinated ethics complaint filed by a George Soros funded corporation are bullying tactics to intimidate citizens into silence. It won’t work. Citizens have every right to speak out and encourage citizens to vote and be involved in their government. Trying to bully and intimidate citizens into silence is politics at its worst.